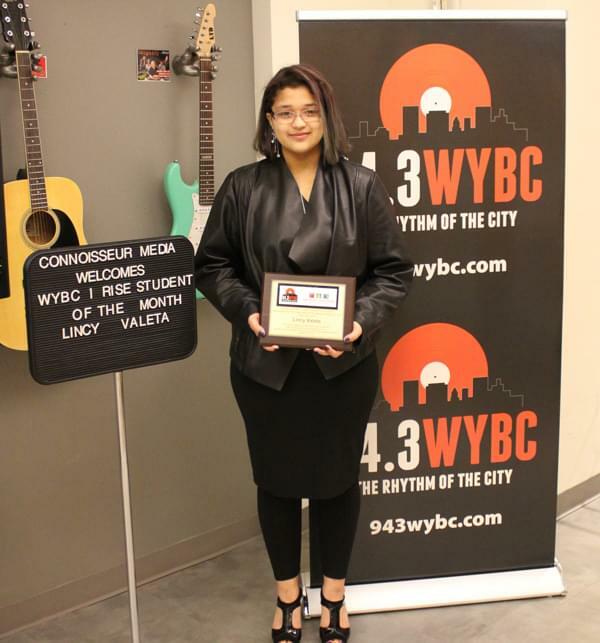 94.3 WYBC, New Haven Public Schools, Superintendent of Schools Dr. Carol Birks and Mayor Toni Harp are celebrating this month’s “I Rise” Student of the Month! Education can and should empower all students to rise up and pursue their dreams. Each month 94.3 WYBC will highlight a student who went the extra mile in pursuit of something extraordinary. The segment is called “I Rise” because it highlights a student who rises above adversity, tackles a challenge or simply shines. We will recognize these incredible, hard-working young people, not just on the radio, but every day in our homes and in the community. Lincy is a Senior at High School In The Community. She has won the prestigious Fly Award and has received All-City Honors Band. Lincy’s favorite subjects in school are music math and she hopes to someday work in music education as a performance music teacher. She is a member and Deputy Dream Director of The Future Project and she participates in many extracurricular activities with The Game Club, Morse Academy, The International Festival of Arts & Ideas, SCSU band and many others. If you know a child deserving of this honor, submit an “I Rise” nomination form, click here to the NHPS Communications Dept. Make sure you make the effort to let them know how proud you are of their efforts, they could be the next “I Rise” Student. Together we can help all Kids Rise! For more information about New Haven School Change go to www.nhps.net or visit their Facebook Page. Also special thanks to Champion Awards & Promotions.